The News Media Association has dropped its challenge over the status of press watchdog Impress – saying “no useful purpose would be served” in pursuing the action now. As previously reported, the NMA, the trade body for the regional and national press, had been challenging the Press Recognition Panel’s decision to recognise Impress, arguing it had “erred in law” by concluding that watchdog meets its criteria of being an “independent self-regulatory body”. 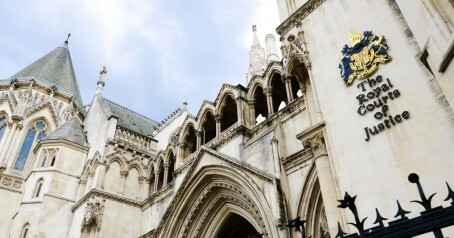 The High Court had previously rejected the NMA’s claim in its entirety and found that the PRP had behaved properly by recognising Impress under the Royal Charter, but the Court of Appeal had been due to hear the NMA’s case this Thursday. However, the organisation has now withdrawn the challenge, citing the government’s decision not to implement Section 40 of the Crime and Courts Act. An NMA spokeswoman said: “The NMA has decided to settle its current legal action against the Press Recognition Panel. “The results of the government consultation on S40 coupled with the government’s commitment to repeal S40 mean that no useful purpose would be served in continuing with the action. S40 was originally designed to force publishers to sign-up to a ‘recognised’ system of press regulation, and would have seen media organisations having to pay the legal costs of both sides in libel and privacy cases, regardless of whether they win, unless they signed up to an approved press regulator under the government’s Royal Charter. Impress chief executive Jonathan Heawood said: “We are pleased that the NMA has finally dropped its groundless legal challenge against Impress. David Wolfe, chair of the PRP, added: “We are pleased that the NMA has seen sense and withdrawn its appeal. The original High Court judgement confirmed that the PRP acted independently, transparently and correctly when we recognised Impress two years ago and that our interpretation of our Royal Charter was sound.